When I will reach the other shore I will talk about it. I am sailing right now at the middle of the ocean. I don’t have anything of mine. Whatever I have that belongs to God. If I give him what belongs to him, I deserve no credit for doing something great. As long as the devotion is conditional it won’t bear any fruits. How can people with attachment get something that is always detached? In this Kali Age people make many friends. Those who offer their mind to God can sleep without worries. Kabir works for Ram as a dog works for his Master. 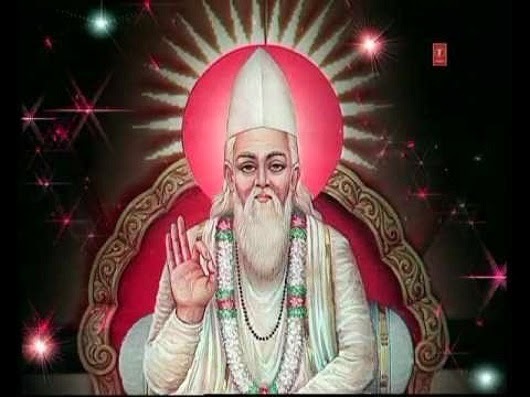 Ram’s name is the pearl that Kabir has. He has tied Ram’s chain round his neck and he goes there where Ram takes him. A man of lust won’t like nectar. He always searches poison. Even if God Shiv himself exhorts a fool, the fool won’t part with his foolishness. A person in a grip of passion won’t feel shame. He who is very sleepy doesn’t care for the bed and one who is very hungry is least bothered about his taste preference. A person who thinks that he has gained knowledge has lost his roots. Now he thinks that he is as omnipotent as God. A person engaged in a household life is better as he at least fears God. A person who renounces world puts himself to trouble day and night as he is worried about his meals. He also thinks that he is the lord and calls himself Swami. Thus he loses on both the counts. There is a cheap crop of divine people. Fifty of them are available for one penny. They are least concerned about the name of Ram and have many expectations from their followers. Note: We hope you enjoyed these verses of Sant Kabeer Ke Dohe. We invite you to contribute on Hindi Sahitya Margdarshan. If you have some fabulous hindi stories, hindi inspirational poems, Hindi self-help articles or hindi quotations and you want to share it with all of us then please send it to nisheeth@hindisahityadarpan.in and we would publish them with your name and photograph.